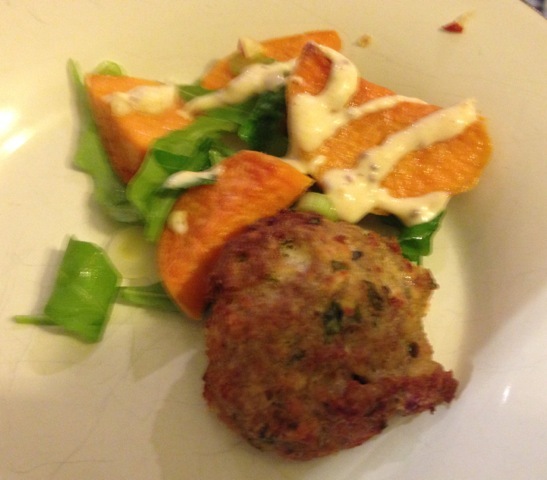 Roasted Sweet Potato Salad with Spicy Pork Burger. Yummy! This salad is the one that I usually serve with the Indoor/Outdoor Burger but is a gorgeous salad all on its own. The dressing is really luxurious and different. I would be happy to eat this salad with a couple of friends for a really easy lunch or use it as a side salad with the burgers for 5 or 6 people. As always, its a Pampered Chef recipe so it is incredibly easy to make, especially if you have a Pampered Chef Serrated Peeler. This makes easy work of peeling the delicious, if a bit tricky, sweet potatoes! 1. 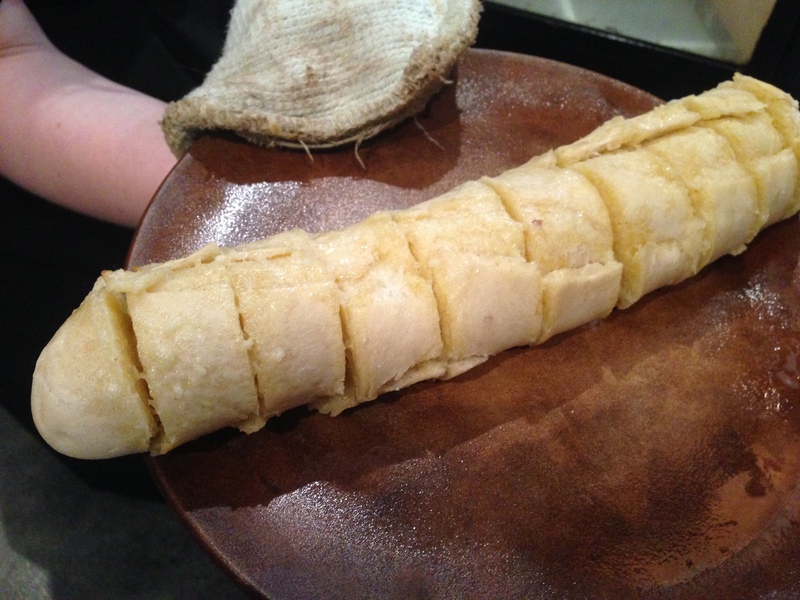 Cut potatoes crossways into 1cm slices using Santoku Knife; cut slices in half (or quarters if big). Put in Classic Batter Bowl; add oil and toss to coat. 2. Arrange potatoes in a single layer on Rectangle Stone; & season. Bake about 25 minutes, until potatoes are tender and beginning to brown round edges. Remove from oven, cool slightly. 4. Place potatoes in Bamboo Fibre Bowl. Core apple with Apple Wedger and Food Chopper and chop celery with Utility Knife. Use Professional Shears to snip spring onions. Add to potatoes. 5. Drizzle about 5 tbsp of the dressing over potato mixture; toss gently to mix. Place some rocket leaves on plate; drizzle with a little dressing. Place potato mixture over rocket and serve with burgers. 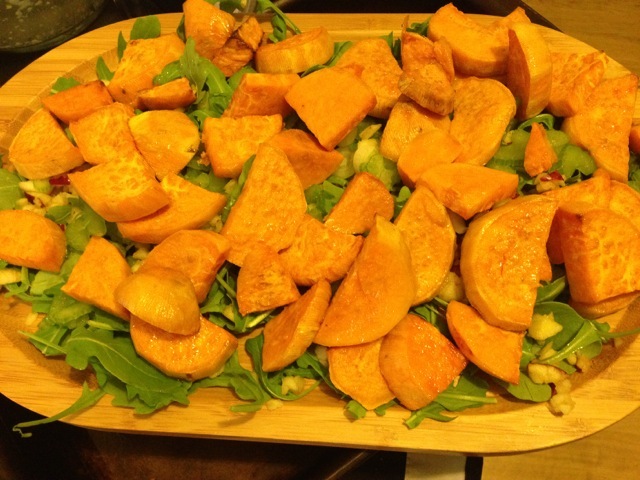 Roasted Sweet Potato Salad without the dressing. The finished garlic bread – just before the hoards descend! I have to give all the credit for this brilliant idea to my good friend Gill. 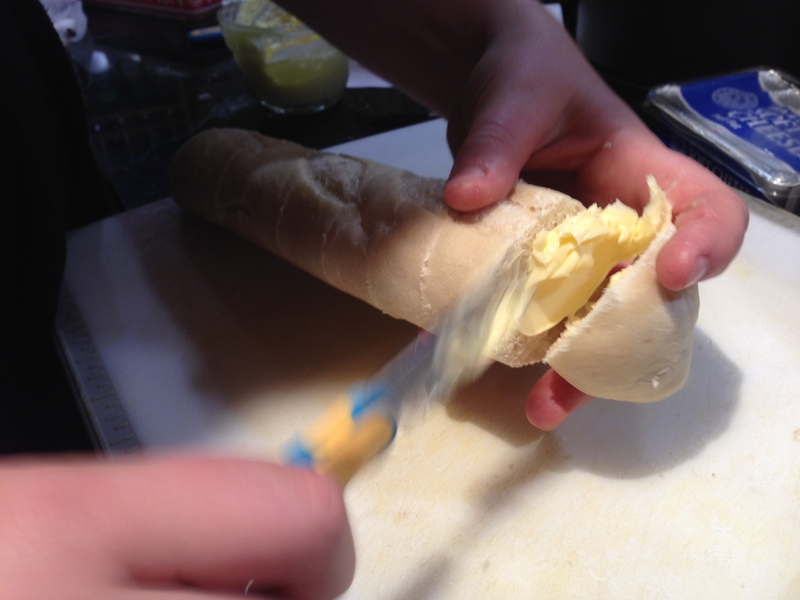 She showed me how to make my own garlic bread and I have never bought shop-made since. This bread is just as quick as pre-made, much more tasty and much cheaper and so is a complete no-brainer!! 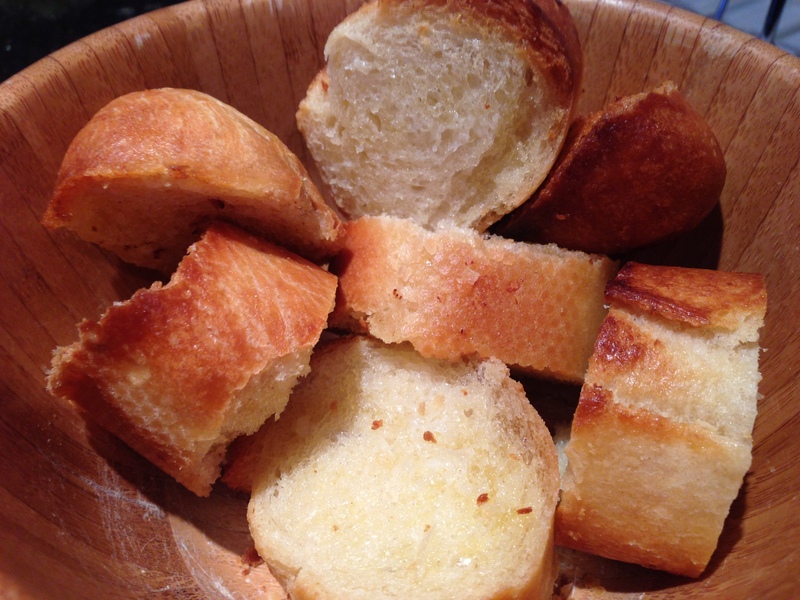 I use 1 garlic clove and 1oz (25g) butter per baguette, Obviously if you prefer it to be more garlicky just add more. Preheat oven to 180C/fan 170C/ Gas 6. 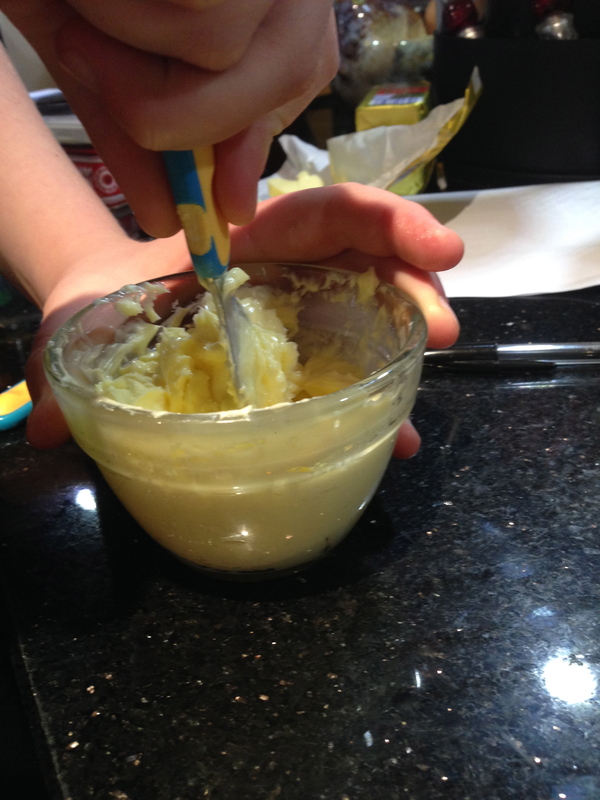 Add butter to Prep Bowl, Press garlic clove using Garlic Press into the prep bowl. Use Spreader to mix them together. Slice the bread, trying not to go all the way through. Carefully spread the generously between each slice. Spread the butter generously between slices. Place baguette(s) on Stoneware (Pictured here is a Medium Round Stone with Handles but any will do). Put Stoneware in oven. Bread ready to go into the oven on the Stoneware. 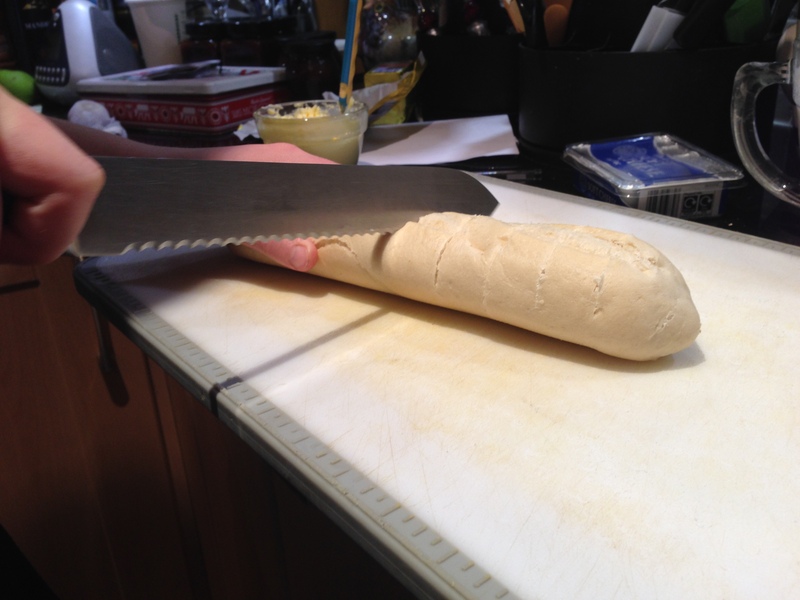 Cook for approx 15-18n minutes until bread looks brown and toasty. 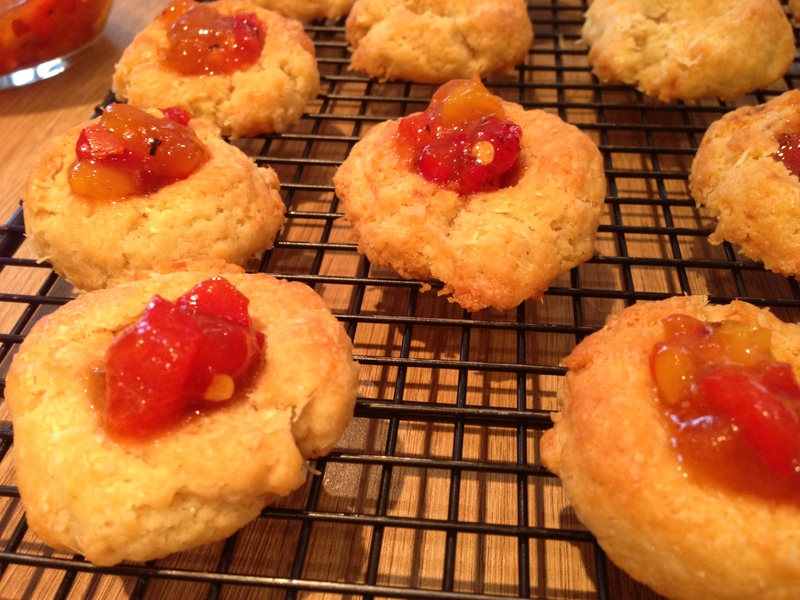 This fabulous recipe is Nigella’s which I have adapted for stoneware use. This essentially means it has become a “Chuck and Bung” recipe with no need to return to the oven until its cooked – my favourite!! The fabulous smell as this cooks is really summery which, obviously right now is perfect, though I am convinced I shall be making it in the depths of winter too as it is a real hit with ALL the family! 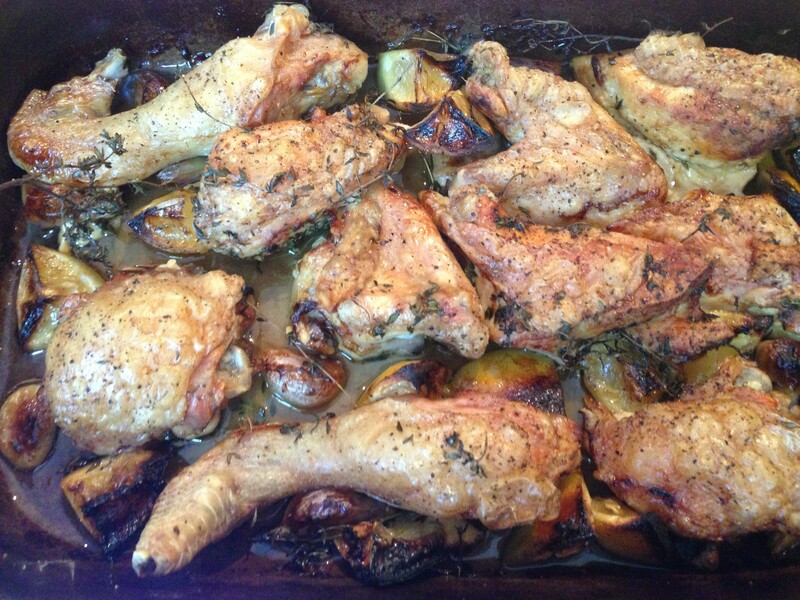 My final comment on this recipe is that it has completely removed the fear of boning a whole chicken myself. I followed a brilliant video that The Pampered Chef team posted (http://www.youtube.com/watch?v=eiwHpDtZHOE) and I LOVE that I have gained a new skill in the kitchen. Pre-heat the oven to 145°C fan/ 160°C/gas mark 3/325ºF. 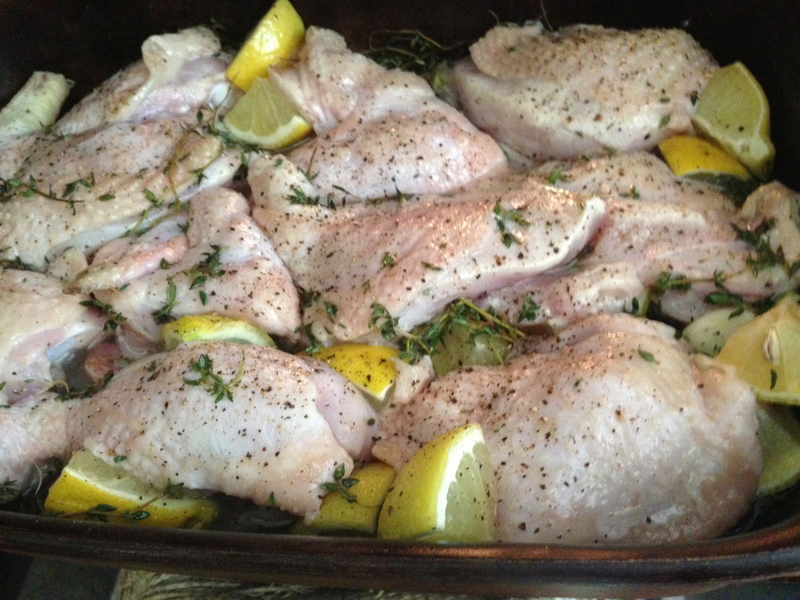 Put the chicken pieces into Rectangular Baker and add the garlic cloves, lemon chunks and the thyme; just roughly pull the leaves off the stalks, leaving some intact for strewing over later. Add the oil and using your hands mix everything together, then spread the mixture out, making sure all the chicken pieces are skin side up. Sprinkle over the white wine and grind on some pepper. 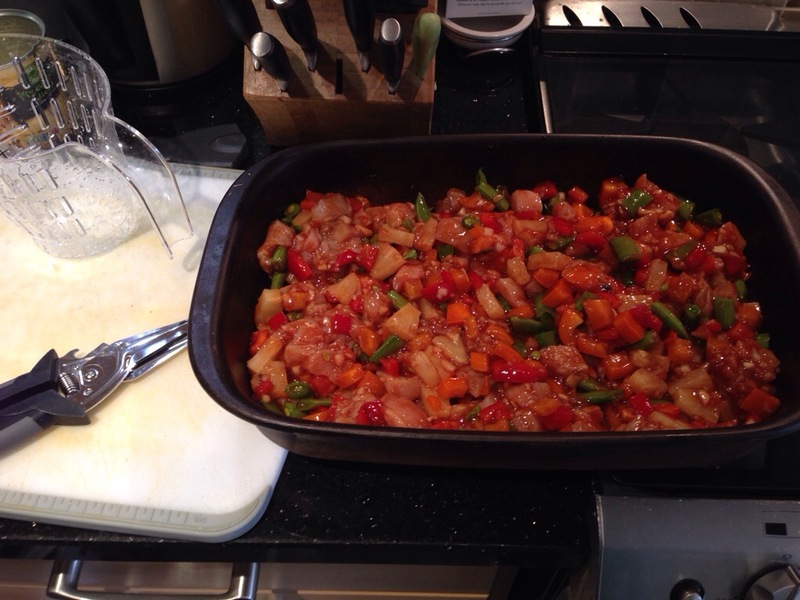 Pop into the oven for approx 1 hr 45 mins. Serve with new potatoes and green beans. So yesterday I had planned to make a roast dinner but with the sun out I fancied a lighter vegetable option. 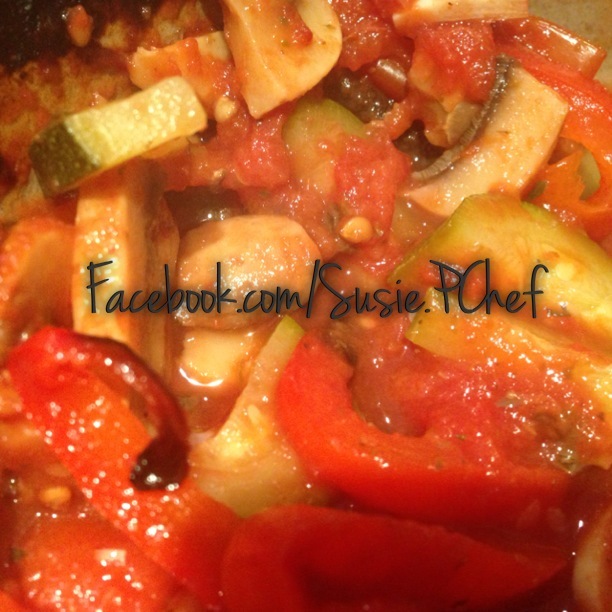 This ratatouille worked perfectly and was really, really simple to make. 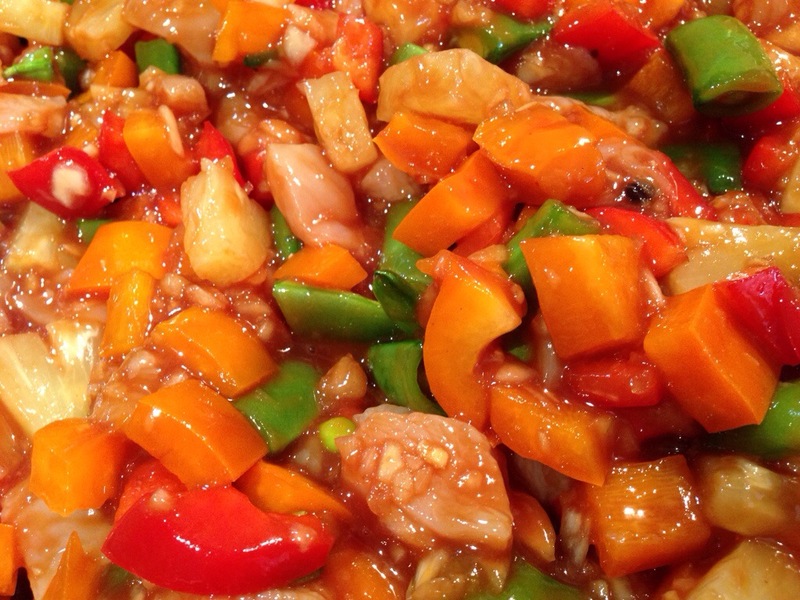 Alternatives – you could include aubergine, celery, or really any veg which you have available. This is an ideal recipe for all you allotment owners too! Throw all ingredients into Stoneware Baker (I used my Square Baker but a Deep Dish Baker, Deep Covered Baker, Rectangle Baker or Round Covered Baker would work just as well) and stir. Cook for approx 40 minutes and serve.